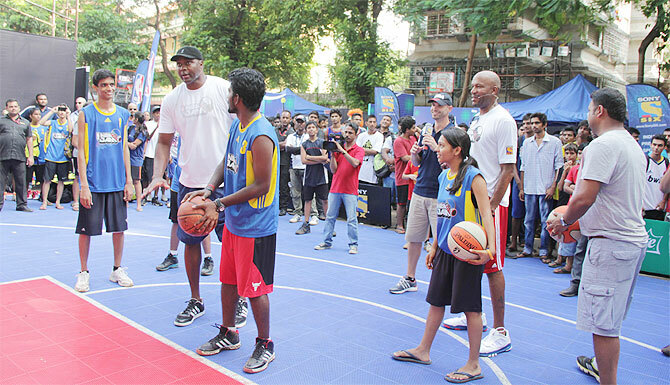 Basketball aficionados from Mumbai were taught basics of the game by NBA legends Horace Grant, Ron Harper and Peja Stojakovic at the NBA JAM Mumbai stop at St Stanislaus School ground in Bandra on Sunday. 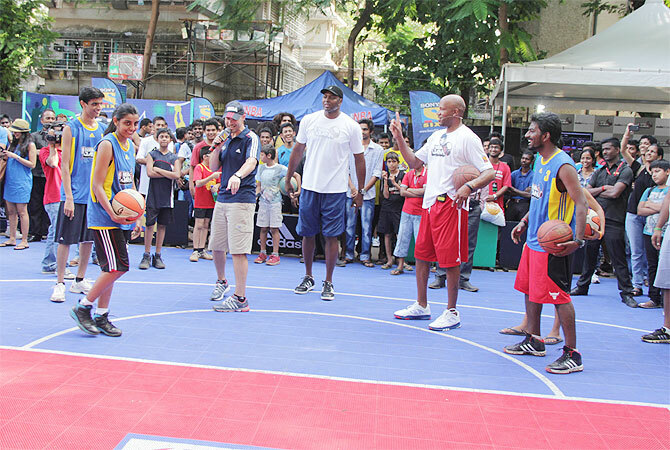 The trio interacted with local players and demonstrated the finer points of the game. 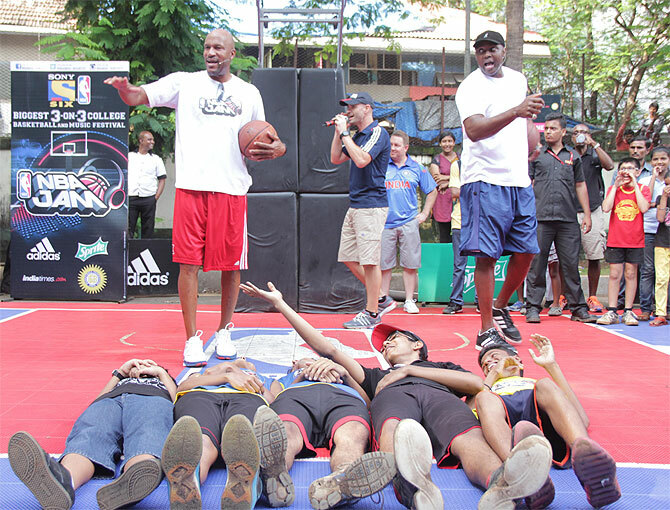 The free interactive travelling event, featuring fast paced 3-on-3 inter-college basketball action and entertainment, was a great NBA experience for Mumbai's fans of the game. The kids from various schools and colleges were engrossed as the trio gave them lessons that will go a long way in sharpening their basketball skills. An exhibition match was also played following the lesson session. While Horace Grant is a four-time NBA championship winner, he has won numerous other accolades in an illustrious career. Ron Harper worked with legendary coach Phil Jackson and was a key player in five of his 11 championship-winning teams. Peja Stojakovic was an NBA player of Serbian-Greek origin and was part of the Dallas Mavericks’ team that won the NBA Championship in 2011.